Why use Dot Net Nuke (DNN) as our Content Management System (CMS) offering? To start off with DNN has been around since 2003 as DNN. That is a solid 15 years of software maturity while at the same time being upgraded to modern requirements at an amazing pace. 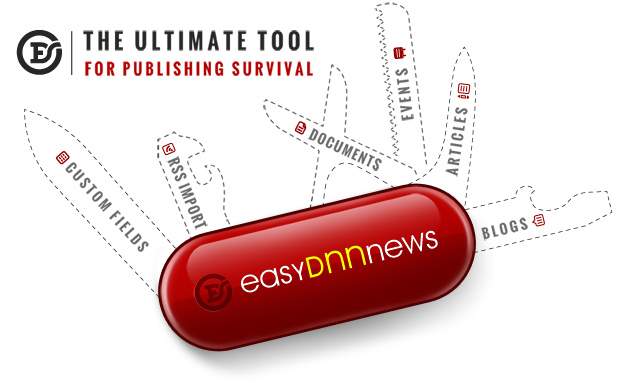 There is no other CMS out there with the experience and stability that DNN has. Nine different sliders and rotators. Choose between 9 different sliders and rotators. Six responsive sliders As many as six out of nine sliders and rotators are responsive. Display images, videos and HTML Sliders display images, videos and HTML content. A wide range of different displays. 19 different types of galleries that cover all your needs. A wide range of configuration options Lots of options for unlimited combinations. Social sharing buttons Allow your images and galleries to be shared on popular social networks..